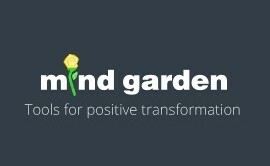 Welcome to www.mindgarden.com and all related subdomains and other electronic platforms hosted by Mind Garden (this “Site”). This Site is owned and operated by Mind Garden®, Inc., a California corporation (“Mind Garden”). Mind Garden is a registered trademark of Mind Garden, Inc. These Terms of Service govern your access to the Site. By visiting and using the Site, you agree to be bound by these Terms. Those that use the Services, or visit our Site or are subjects of any of the Pre-Written Inventories or other Services are referred to as End Users. These Terms of Service also govern your purchase and use of our services, products, and Inventories (collectively referred to as the “Services”) as well as your access to the Site. By signing up for the Services, you agree to be bound by these Terms. Those that purchase the Services are deemed Customers. For purposes of clarification, those that purchase the Services for their own personal use are both Customers and End Users. "You" refers to End Users, Customers, and any other individuals or entities that access or use the Site or the Services, all of whom are bound by the terms of this Agreement by their use or access. Ineligible Persons. You may not use the Services and may not accept the Agreement if (a) you are not at least 13 years of age and of legal age or capacity to form a binding contract with Mind Garden, or (b) you are a person barred from receiving the Services under the laws of the United States or other countries including the country in which you are resident or from which you use the Services. Our Services are not directed to persons under 13. If you become aware that your child has provided us with personal information without your consent, please contact us. We do not knowingly collect personal information from children under 13. If we become aware that a child under 13 has provided us with personal information, we take steps to remove such information and terminate the child's account. When you are using a Mind Garden Service that requires a login, you are responsible for maintaining the confidentiality of the password and account that you receive from Mind Garden, and you are fully responsible for all activities that occur under your password or account. You hereby agree to (a) immediately notify Mind Garden of any unauthorized use of your password or account or any other breach of security, and (b) ensure that you exit from your account at the end of each session. You are solely liable for any loss or damage arising from your failure to comply with this Section 1.
b) not upload, download, post, email, reproduce, distribute or otherwise transmit any materials including but not limited to text, data, photos, graphics, etc. ("Content") that are unlawful, harmful, threatening, abusive, vulgar, harassing, defamatory, obscene, pornographic, indecent, inflammatory, libelous, tortuous, hateful, or racially, ethnically or otherwise objectionable, or invasive of another's (including without limitation Mind Garden’s) rights, including but not limited to rights of celebrity, privacy, and intellectual property. h) disclose or share any of the materials or Services except to permitted End Users as explicitly provided in this Agreement. Under the licenses granted to Mind Garden by the materials’ licensors, Mind Garden is licensed to supply reproductions of the Pre-Written Inventories to Mind Garden Customers for the Customers to administer in connection with the Customer's own internal business, research, and personal operations. (b) No Further Distribution. You will not act as a distributor or reseller, i.e., you will not sell PreWritten Inventories to others who re-use or re-sell, the Pre-Written Inventories without Mind Garden’s written approval. You will not, therefore, sell Pre-Written Inventories to others who in turn use Pre-Written Inventories with their own client or who sell Pre-Written Inventories to their own customers or clients. (c) No Sharing or App Development. Except upon Mind Garden's advance written consent, you may not make a Pre-Written Inventory available to anyone as a written document or a software program. For example, you may not create a program or an "app" that when run on a computer, iPad or other device would allow persons to act as subjects in completing a Pre-Written Inventory. (a) Right To Halt Wrongful Use. Mind Garden shall be entitled (but not obligated) to halt any use of any Pre-Written Inventory in breach of any of the provisions of this Agreement or in violation of any applicable laws or regulation. (b) Right To Halt Wrongful Emails. In the event that the Customer enters email addresses on the Site for the purposes of generating emails to the Customer's subjects, participants, or to any other persons, Mind Garden may (but is not required to) elect not to send any such emails which it believes may violate SPAM laws or other applicable laws, rules, or regulations. (c) Payment Of Copyright Holder's License Fees. If you have purchased a license to reproduce or administer a fixed number of copies of an existing Mind Garden Pre-Written Inventory, manual, or workbook, it is your legal responsibility to compensate the copyright holder of this work -- via payment to Mind Garden for reproduction or administration of that Pre-Written Inventory, manual or workbook in any medium, including but not limited to furnishing or administering the same electronically, on a computer network or over the Internet. (d) Tracking Number Of Copies. If you are a Customer, you must track the number of reproductions or administrations of the inventories and you will be responsible for compensating Mind Garden for any reproductions or administrations in excess of the number purchased or for any reproductions or administrations after the end of the one year license period. For purposes of clarification, you may not email a .pdf of any materials such as an inventory to its subjects. This is a violation of this Agreement as it creates an unrestricted distribution and does not allow for tracking of copies. (1) Defined. Non-Person-Specific Data is information furnished by a Subject but which information does not contain any information that can be used to specifically identify the Subject. For example, Non-Person-Specific data would not contain the Subject's (i) name; (ii) mailing address; (iii) any identification number (e.g. passport, driver's license, social security, etc. ); (iv) employer's name; (v) any family members' names; (vi) other data that could under normal circumstances link the non-person-specific data to any identifiable person. (2) Right To Use Non-Person-Specific Data. Mind Garden will have the right, but not the obligation, to store, aggregate, use, and publish Non-Person-Specific data from Pre-Written Inventories without identifying the Customer. Mind Garden will not use the name, address, contact information, social security number, exact date of birth, or other individual identifying characteristics for any of Pre-Written Inventory subjects but, Mind Garden may, for example, use Non-Person-Specific data to report that males in the age range of 25 to 34 with a college education scored thus and so on a certain Pre-Written Inventory. (A) Aggregation of Non-Person-Specific Data. Mind Garden may aggregate and use, without compensation to Customers, End Users, or other subjects, Non-Person-Specific data furnished in connection with Pre-Written Inventories or obtained from the forms, scoring, or other processing of any products or materials published by Mind Garden or otherwise sold by or licensed by Mind Garden, and Mind Garden may utilize those data for research, product development, statistical purposes, or for any other purposes whatsoever. (B) Disclosure of Non-Person-Specific Data. Mind Garden may disclose Non-Person-Specific data to third parties, with or without compensation to Mind Garden as Mind Garden sees fit from time to time. (f) Data Retention Limitation. Mind Garden is not obligated to keep data or honor unused or unrequested assessments beyond a period of one year from the creation of the data or assessment unless the customer contacts Mind Garden via email prior to the end of that year with a request to retain it longer. Mind Garden may choose to grant or reject the request in its sole discretion. 5) Representations and Warranties of Customer. Customer represents and warrants that a) it will not, under this Agreement, collect or transmit any personal health information as defined by HIPPA or other applicable laws; b) it will follow best practices in securing all data related to this Agreement; c) it will get proper consents and provide proper notices to all End Users or other subjects as required by applicable law or as necessary under industry best practices; d) it will ensure that all End Users or other subjects review and agree to the terms of this Agreement particularly if they access the Services in a manner other than the Site; e) it will ensure that the administration and use of all Services comply with all applicable laws; and f) it will ensure that no End Users are under 13 years of age. vi) a statement by you, made under penalty of perjury, that the above information in your Notice is accurate and that you are authorized to act on behalf of the owner of the copyright interest involved. For purposes of this Copyright Violations section, “you” refers to any individual or entity. You agree to defend, indemnify, and hold Mind Garden and Mind Garden's officers, directors, employees, and agents harmless from all judgments, awards, losses, liabilities, costs and expenses, including but not limited to reasonable attorney's fees, expert witness fees, and costs of litigation arising out of or based on (a) your use of the Site, Services, or Pre-Written Inventories or any combination of the foregoing, (b) your violation of this Agreement; (c) your violation of any rights of a third person (including without limitation privacy or non-discrimination rights) or any applicable law, rule, or regulation; (d) your administration, scoring, evaluation, release, or distribution of any Pre-Written Inventories, Custom Created Inventories, Mind Garden created reports, Custom Created Reports, scorings, or evaluations. If you are a Customer, you also agree to defend, indemnify, and hold Mind Garden and Mind Garden's officers, directors, employees, and agents harmless from all judgments, awards, losses, liabilities, costs and expenses, including but not limited to reasonable attorney's fees, expert witness fees, and costs of litigation arising out of or based on any claims by (x) your End Users or (y) any other individual or entity that gains access to the Site or Services through you. You agree not to reproduce, duplicate, copy, sell, resell or exploit for any commercial purposes, any portion of the Site, use of the Site, Services, or access to the Site without Mind Garden's express written consent. While you are granted a limited license to use the Site, and Services provided that you have paid for the applicable use and otherwise are in compliance with this Agreement, any other rights and licenses are expressly retained by Mind Garden and the rights holders and no implied licenses are granted. (a) Mind Garden May Terminate. If you or your End Users breach this Agreement or Mind Garden determines in its sole discretion that it is no longer commercially reasonable to offer you the Services, it may terminate this Agreement and terminate your password, account (or any part thereof) or use of the Site, and remove and discard any Content you may have contributed to the Site. If termination is based on a reason other than breach, Mind Garden will refund any prepaid fees for periods in which the Services will not be available. (b) Termination Effective Without Advance Notice. If necessary in order to avoid legal violations, to comply with applicable law, or to avoid harm to any person or property, Mind Garden may terminate your access to the Site without prior notice and Mind Garden may immediately deactivate or delete your account and all related information and files in your account and/or may bar any further access to such files of the Site in its sole discretion. Further, you agree that Mind Garden shall not be liable to you or any third-person for any such termination of your access to the Site. (c) Survival. In the event of a termination of this Agreement, your obligations and liabilities under this Agreement will survive as applicable. (d) Your Only Recourse Is Termination. Should you object to any terms and conditions of the Agreement or become dissatisfied with the Site in any way, your only recourse is to immediately discontinue your use of the Site and terminate your account. Under certain circumstances the Site may provide, or third parties may provide, links to other websites or resources. Mind Garden is not responsible for the availability of such sites or resources, and does not endorse and is not responsible or liable for any content, advertising, products, or other materials on or available from such sites or resources. Mind Garden shall not be responsible or liable, directly or indirectly, for any damage or loss caused or alleged to be caused by or in connection with use of or reliance on any such content, goods or services available on or through any such site or resource. ACCESS TO THE SERVICES AND THE INFORMATION AND CONTENT CONTAINED ON THE SITE IS PROVIDED “AS IS” AND “AS AVAILABLE” AND MIND GARDEN HEREBY EXPRESSLY DISCLAIMS ALL WARRANTIES OF ANY KIND, WHETHER EXPRESSED, IMPLIED, STATUTORY OR OTHERWISE, INCLUDING BUT NOT LIMITED TO, THE IMPLIED WARRANTIES OF MERCHANTABILITY, FITNESS FOR A PARTICULAR PURPOSE, NON-INFRINGEMENT, AND TITLE. MIND GARDEN DOES NOT WARRANT THAT THE SERVICES AND THE SITE WILL BE UNINTERRUPTED, ERROR FREE, OR WITHOUT BREACHES OF SECURITY, AND YOU AGREE THAT YOU ARE SOLELY RESPONSIBLE FOR ANY AND ALL ACTS OR OMISSIONS TAKEN OR MADE IN RELIANCE ON MIND GARDEN SERVICES OR THE INFORMATION IN THE SERVICES OR SITE, INCLUDING INACCURATE OR INCOMPLETE INFORMATION, LOSS OF DATA FROM DELAYS, NONDELIVERIES OF CONTENT OR EMAIL, ERRORS, SYSTEM DOWN TIME, MISDELIVERIES OF CONTENT OR EMAIL, NETWORK OR SYSTEM OUTAGES, FILE CORRUPTION, OR SERVICE INTERRUPTIONS. MIND GARDEN EXPRESSLY DISCLAIMS ANY LIABILITY WITH RESPECT TO ANY INJURY CAUSED BY ANY END USER, OR ANY DAMAGE SUFFERED BY ANY END USER, AS A RESULT OF THE ACTIONS OR INACTIONS OF ANY OTHER END USER. IF YOU ARE DISSATISFIED WITH THE SERVICES, THE SITE, OR ANY CONTENT, YOUR SOLE AND EXCLUSIVE REMEDY IS TO DISCONTINUE USING AND ACCESSING MIND GARDEN SERVICES AND THE SITE. SOME JURISDICTIONS DO NOT ALLOW THE EXCLUSION OR LIMITATION OF IMPLIED WARRANTIES, SO IN THESE JURISDICTIONS THE ABOVE LIMITATIONS OR EXCLUSIONS MAY NOT APPLY. YOU ACKNOWLEDGE THAT MIND GARDEN DOES NOT CONTROL IN ANY RESPECT ANY INFORMATION OR SERVICES OFFERED BY THIRD PARTIES THROUGH MIND GARDEN. EXCEPT AS OTHERWISE AGREED IN WRITING, MIND GARDEN AND ITS AFFILIATES ASSUME NO RESPONSIBILITY FOR AND MAKE NO WARRANTY OR REPRESENTATION AS TO THE ACCURACY, CURRENCY, COMPLETENESS, RELIABILITY, OR USEFULNESS OF CONTENT OR SERVICES DISTRIBUTED OR MADE AVAILABLE BY THIRD PARTIES THROUGH THE SITE. YOU ACKNOWLEDGE THAT MIND GARDEN MAKES NO WARRANTY OR REPRESENTATION THAT CONFIDENTIALITY OF INFORMATION TRANSMITTED THROUGH THIS SITE WILL BE MAINTAINED. WITHOUT LIMITING ANY OF THE OTHER RISKS MIND GARDEN HAS DISCLOSED TO YOU IN THIS AGREEMENT, YOU ARE SOLELY RESPONSIBLE FOR YOUR USE OF THE SERVICES AND THE SITE, INCLUDING ANY CONTENT YOU SUBMIT OR ANY INVENTORIES YOU USE, AND YOU EXPRESSLY ACKNOWLEDGE AND AGREE THAT YOUR USE AND ACCESS TO THE SERVICES, THE SITE, AND THE INFORMATION AND CONTENT CONTAINED IN EITHER OF THE FOREGOING, AND ANY SITES LINKED THROUGH THE SERVICES AND ANY DATA TRANSMITTED THROUGH THE SERVICES IS AT YOUR SOLE RISK. ACCORDINGLY, MIND GARDEN, ANY OF ITS SUBSIDIARIES OR AFFILIATES, ITS RESPECTIVE OFFICERS, DIRECTORS, EMPLOYEES, AGENTS, REPRESENTATIVES, PARTNERS, AND LICENSORS (COLLECTIVELY, THE “MIND GARDEN ENTITIES”) DO NOT ASSUME ANY LIABILITY TO YOU FOR OR RELATING TO ANY OF YOUR ACTIONS, INCLUDING THE PUBLICATION OF ANY CONTENT YOU SUBMIT, THE RESULTS OF ANY TESTS OR INVENTORIES TAKEN, OR MIND GARDEN’S EXERCISE OF THE RIGHTS YOU GRANT TO MIND GARDEN. IN NO EVENT SHALL THE MIND GARDEN ENTITIES BE LIABLE FOR ANY SPECIAL, INDIRECT, CONSEQUENTIAL, OR EXEMPLARY DAMAGES, INCLUDING, BUT NOT LIMITED TO, LOSS OF PROFITS OR REVENUES, LOSS OF USE, LOSS OF GOODWILL OR LOSS OF INFORMATION, HOWEVER CAUSED AND WHETHER BASED ON CONTRACT, WARRANTY, NEGLIGENCE, STRICT LIABILITY, OR ANY OTHER THEORY OF LIABILITY, EVEN IF THE MIND GARDEN ENTITY HAS BEEN APPRISED OF THE POSSIBILITY OR LIKELIHOOD OF SUCH DAMAGES. NOTWITHSTANDING ANYTHING IN THESE TERMS TO THE CONTRARY, MIND GARDEN ENTITIES’ TOTAL AGGREGATE LIABILITY IN RESPECT OF ANY CLAIM OR ACTION YOU MAY BRING AGAINST MIND GARDEN OR ANY OF THE MIND GARDEN ENTITIES, REGARDLESS OF FORM OF ACTION OR THEORY OF LIABILITY, SHALL BE LIMITED TO THE GREATER OF (1) ONE HUNDRED UNITED STATES DOLLARS (US$100), AND (2) THE AGGREGATE FEES ACTUALLY PAID BY YOU (OR THE APPLICABLE CUSTOMER ON YOUR BEHALF) TO MIND GARDEN FOR THE 6 MONTH PERIOD PRECEDING THE EVENT FIRST GIVING RISE TO SUCH CLAIM OR ACTION. YOU ACKNOWLEDGE THAT YOU MAY BE WAIVING RIGHTS WITH RESPECT TO CLAIMS THAT ARE UNKNOWN OR UNSUSPECTED. ACCORDINGLY, YOU AGREE TO WAIVE THE BENEFIT OF ANY LAW, INCLUDING, TO THE EXTENT APPLICABLE, CALIFORNIA CIVIL CODE § 1542 (OR SIMILAR PROVISIONS OF THE LAWS OF OTHER STATES), WHICH STATES, A GENERAL RELEASE DOES NOT EXTEND TO CLAIMS WHICH THE CREDITOR DOES NOT KNOW OR SUSPECT TO EXIST IN HIS OR HER FAVOR AT THE TIME OF EXECUTING THE RELEASE, WHICH IF KNOWN BY HIM OR HER MUST HAVE MATERIALLY AFFECTED HIS OR HER SETTLEMENT WITH THE DEBTOR. (a) Only Informational Tools. Mind Garden's Site and Services are intended to be informational tools to be used by professionals in evaluating certain aspects of human responses, actions, attitudes, personalities and conditions. Customers are responsible for proper administration of Mind Garden’s content and Services and ensuring that proper professionals are engaged at all stages of the testing process. For example, Mind Garden Inventory that is improperly scored, interpreted, or applied may yield an inaccurate assessment and other injury. (c) No Warranty By Mind Garden. Mind Garden does not warrant that any of Services can substitute for skilled professional evaluations and counseling. In contrast, Mind Garden specifically discloses that its Services are not substitutes for professional evaluation and counseling. (a) Severability. If any provision of this Agreement is invalid, illegal, or unenforceable under any applicable statute or rule of law, such provision shall be deemed amended to achieve as nearly as possible the same economic effect as the original provision and the remaining provisions of this Agreement shall in no way be affected or impaired. (b) Applicable Law. These terms and conditions shall be governed by and construed in accordance with the laws of the state of California, without resort to its conflict of law provisions. You agree that any action at law or in equity arising out of or relating to this Agreement or the Services shall be filed only in the Superior Court of San Mateo, California, or the United States District Court for the Northern District of California, and you hereby irrevocably and unconditionally consent and submit to the exclusive jurisdiction of such courts over any such suit, action, or proceeding. If you administer any Pre-Written Inventories or Customer Created Inventories to persons outside the United States or if you furnish scoring, evaluations, or reports to persons located outside the United States then you will comply with all laws applicable to such Inventories, scoring and reports including, but not limited to privacy laws. (c) Headings. The headings are for navigational purposes only and shall not be deemed to constitute terms of this Agreement. (d) Entire Agreement. This Agreement is the parties’ entire agreement relating to its subject and supersedes any prior or contemporaneous agreements on that subject. This agreement may be amended by Mind Garden by providing you notice of the new terms. Your continued use of the Services or the Site indicates your assent to the new terms. (e) No Assignment. You may not assign this Agreement and any attempt to do so will be void.